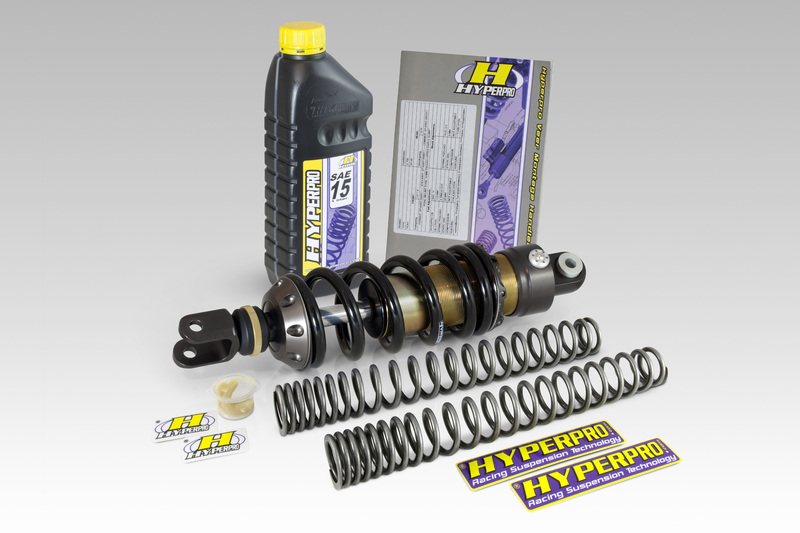 Hyperpro emphasizes the importance of good suspension. A good suspension setup gives more comfort, but even more importantly; it gives more safety while riding the bike. Also, it will result in a shorter braking distance and more stability in the curves, even with a passenger. The HYPERPRO STREETBOX! is a concept which combines all these benefits in an affordable way. The STREETBOX! 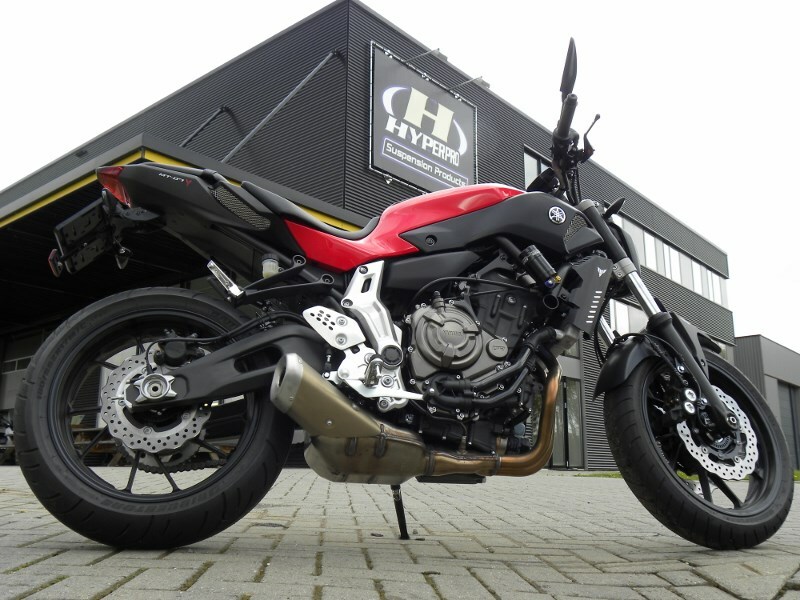 is for bikers riding for example a Z750, Bandit, Hornet, but it is also for people who don’t want to invest too much in expensive suspension, and who still want to take advantage of the benefits of an improved suspension, and who simply want to have a good ride. The HYPERPRO STREETBOX! contains a 460 type emulsion shock with rebound adjustment, Hyperpro progressive front fork springs and oil, and comes with recommended settings for your bike. IIn the same line of the concept, Hyperpro also supplies the “all-in-one-box solution” for BMW Motorcycles: The “telelever” Streetbox! But why spend a lot of money on good suspension when you are just an average rider. You only have the wish to have a good ride, instead of taking that long trip to Siberia or the South American trails, or when you have your BMW for commuting purposes. BUT; there are plenty of reasons why to upgrade suspension, like comfortable riding, easy cornering, no problems with passengers and/or luggage, better braking, less tyre wear. It would be a pity if you cannot use the benefits of these bikes, just because of poor or failing suspension. Hyperpro offers a solution with the Hyperpro BMW “telelever” Streetbox. 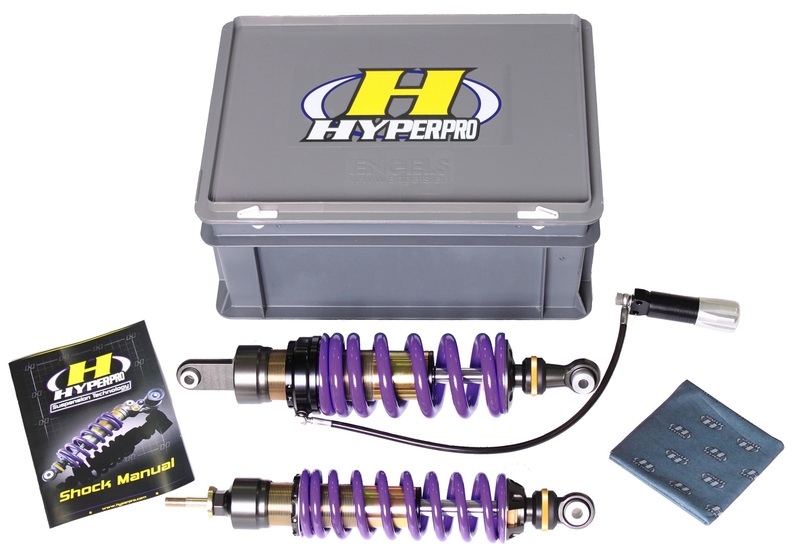 This box includes the following products: a front and rear emulsion shock with adjustable rebound adjustment, progressive springs in the colors Hyperpro Purple or Black, and a hydraulic preload adjuster for the rear shock, and all of this for a very attractive price. The Hyperpro BMW “telelever” Streetboxes are available for almost all BMW models with a front and rear shock, but without the ESA-system. 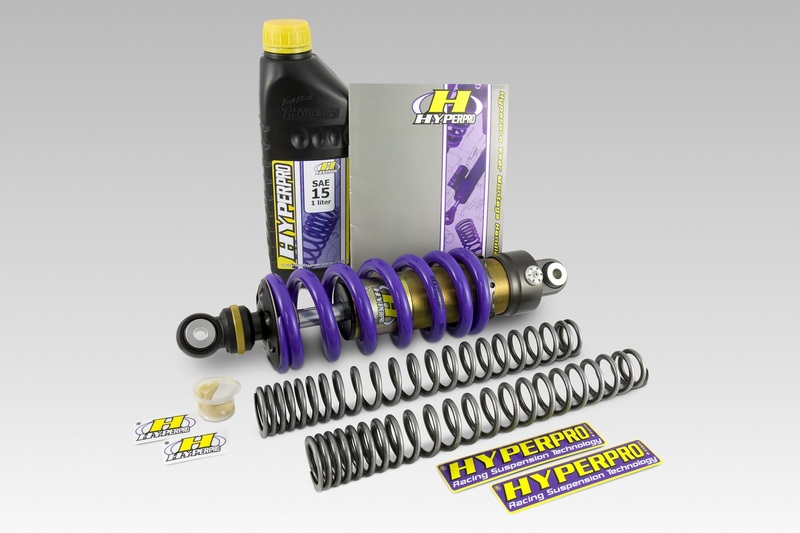 BMW’s with frontfork springs and rear shocks are available within the Hyperpro Streetbox program. Below you can find if there is a Streetbox! available for your bike.